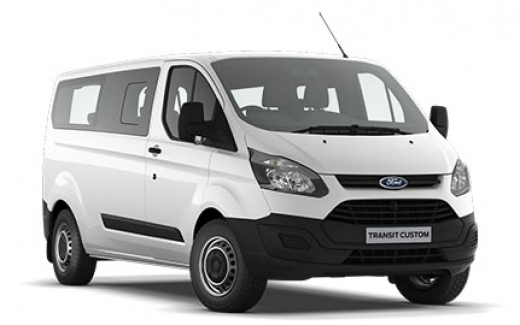 The new Transit Custom 9 seat L2 has a large amount of luggage space great fuel economy and great ride position. 100 miles free per day or 1000 miles per week excess mileage is charged at 8p plus vat per mile. Weekend rate available from 8.30am Saturday to 8.30am Monday.